Daniel Negreanu is a professional poker player from Canada, of Romanian origin. He had his first contact with poker games after graduating from secondary school. Although he managed to go to high school, Daniel abandoned his studies, devoting himself to playing poker. He used to play in local casinos and take part in illegal poker parties around Toronto. Now Daniel has one of the best series of live events in history, being at the moment one of the top biggest winners of all time. After losing, you learn how to win! And win big! At the age of 16, in 1990, he first arrived in Las Vegas. There he participated in his first contest but lost all of his money ($ 3,000). Daniel did not get discouraged and returned to Canada, intensively studying poker. He attended the big poker competitions, intensively watching the faces and gestures of the competitors. So, in 1997, Negreanu's luck seems to change when he returns and got two championship titles at the Foxwoods World Poker Championship, earning $ 133,600 and being the best player of the tournament. In August 1998, just 23 years old, he became the youngest player to win a WSOP bracelet after winning the $ 2,000 Pot Limit Hold'em tournament. This was the beginning of an incredible career that still has no end in sight. The following year, he became one of the brightest players in the tournament, winning two World Poker Tour titles (WPTs) and two other WSOP bracelets and playing 11 finals. Between 1997 and 1999 he won 12 first-class tournaments, more than any other player. His second bracelet came in 2003, followed by a third in 2004 and another in 2008. In 2004, Daniel Negreanu was declared "Player of the Year" after winning the World Poker Tour. Daniel arrived in London to play in the 2008 World Series of Poker * Europe and reached the final table of the Main Event of £ 10,000, earning a $ 395,024 prize for 5th place. He then took more cash prizes than any other player in 2009, including a return to the WSOPE Main Event, where he finished second with $ 788,618. Daniel finally won a Main Event World Series when he won the first Asia Pacific Series in April 2013, earning his fifth bracelet and a $ 1,087,160 prize. Incredibly, he earned his sixth bracelet just a few months later in a World Series of Poker - Europe High Roller event. It was a win that brought him $ 979,955, giving Daniel enough points to get the title of WSOP Player of 2013. He also won two more massive Aussie Millions in 2014, reaching the final table events of $ 100,000 and $ 250,000, from which he took home a total of $ 1,612,203. Also, at the World Series in 2014, Daniel earned his biggest cash prize – the $ 8.288,001 prize for the second place in the $ 1,000,000 Big One for One Drop event. In 2015, he was very close to finally winning the World Series Main Event, being eliminated very close to the final table, taking home a prize of $ 562,778. Outside the World Series, Daniel has also gathered some huge cash prizes and titles in the World Poker Tour. In 2004, the WPT tournaments had huge prize money and Daniel took advantage of this. In September, he won the Borgata Poker Open for a $ 1,117,400 prize, and three months later he won the Diamond World Poker Classic tournament for another $ 1,770,218. He also reached the final table in other WPT tournaments, which added $ 1,443,013 to his account and he earned another $ 755,525 after finishing first in a WSOP Circuit event in 2005. Early 2011 brought him another major prize for a second place in the $ 100,000 Super High Roller event at the PokerStars Caribbean Adventure (PCA) with a $ 1,000,000 prize. In the last few years, Daniel has perfected his online game by winning a Spring Championship of Online Poker (SCOOP) in 2013, after winning a Pot Limit Omaha event of $ 5,200 with a $ 216,000 prize. 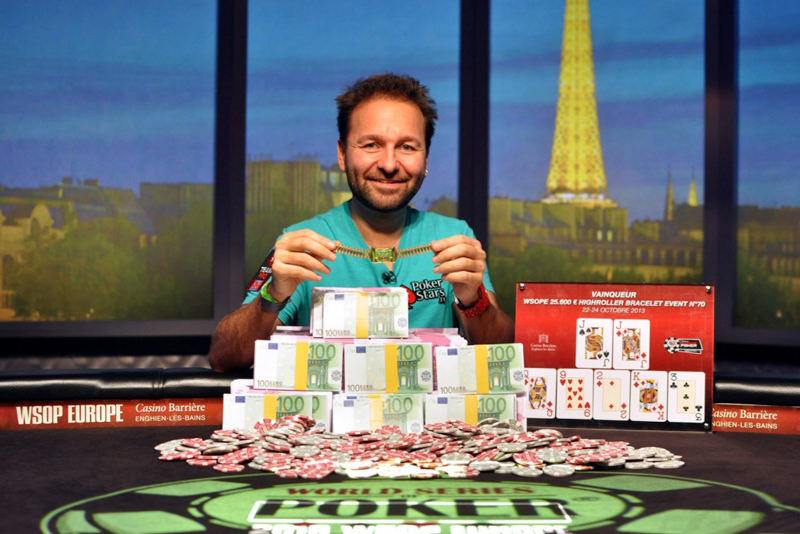 Some of Negreanu's victories are attributed to his ability to read opponents' reactions. Speaking of this ability, Negreanu states that the most important thing is to see what hands his opponents play and their ability to build on their hand. He wrote about 100 articles for Cardplayer Magazine and contributed to Doyle Brunson's Super System II. What about playing poker online? Daniel is a highly respected poker author, with millions of players reading his books, articles and blogs, and he often appears in big poker TV shows in which he both plays and comments. When he has free time, he likes to spend it with his friends, playing pool or video games. He is also an avid golf player and plays big money with other poker players. Extremely popular among fans, Daniel is a real force in the poker world. He is a member of Team PokerStars Pro and plays online under the nickname 'Kid Poker'. He offered poker lessons on the Internet as part of Poker School Online and has also personally given lessons to celebrities such as Tobey Maguire and Shannon Elizabeth. In 2003, he launched the website http://www.fullcontactpoker.com, where users can play virtual poker games. He also launched the "Daniel Negreanu’s Protege" competition, in which those who enrol compete in a tournament to enjoy the privileges of being the disciples of the champion. Daniel plays poker with amateurs of this game only between $ 100,000 and $ 500,000. 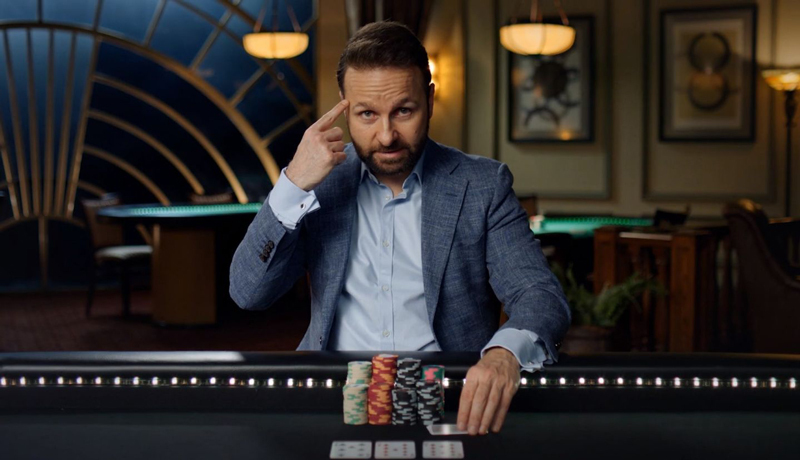 Daniel Negreanu became the professional poker player with the biggest winnings in history, nearly $ 40 million (more precisely $39,830,194), according to the All-Time Money List. Just recently the big win of Justin Bonomo bumped the recorded lifetime winnings to nearly $43 million, moving Justin slightly ahead of Daniel Negreanu. Daniel remains a fearsome player and an example for most poker players. What is interesting about him is that he sees poker as just a business. "For me, poker is just a business. Once you lose, you have to get up and focus on playing better. I have never cheated and will never do it."